Nowadays a lot of people like to record their Desktop or even Smartphone’s screen for various purposes. You might be someone who likes to record Gameplay Video, or maybe a Video Tutorial, and so on. 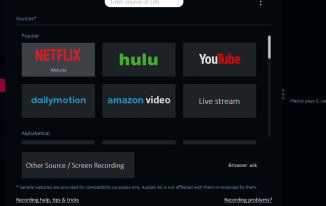 If you start searching over the web, there are a lot of screen recorder software programs available online but very few of them are great to use. So we thought why not find something which is a great pick with a lot of features and compatibility. So we begin testing various Screen Recording Programs in order to decide which one is best. That’s when we got to know about the Filmora Scrn. So here we are with its review and to answer the question, is Filmora Scrn the best Screen Recorder out there? 1 Filmora Scrn – The Best Screen Recorder? 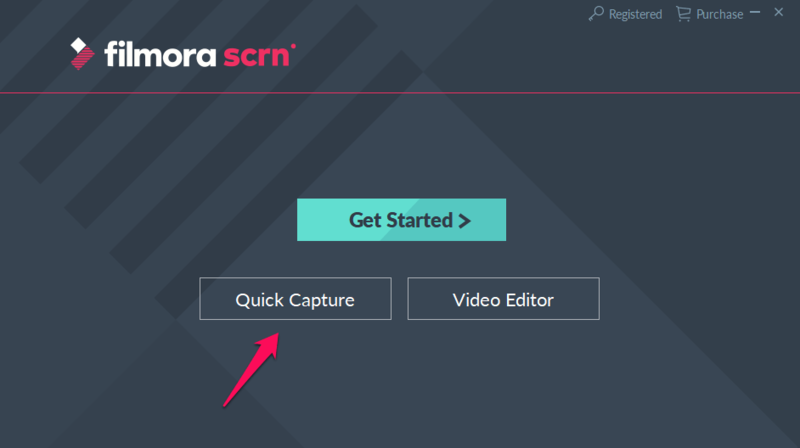 3 How to use Filmora Scrn to record and Edit Videos? 3.1 How to use Filmora Scrn to Record Screen? 3.2 How to use Filmora Scrn to Edit Videos? 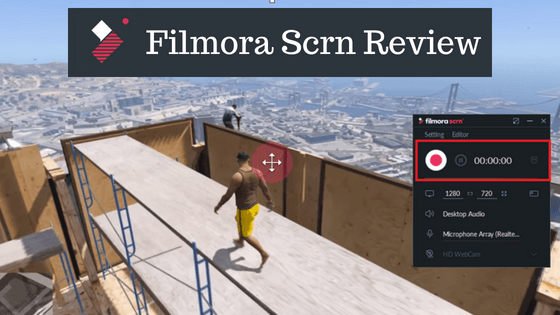 Filmora Scrn – The Best Screen Recorder? The Filmora Scrn comes with a lot of useful features. Let us take a look at some of the Key Features of the Filmora Scrn, should we? One of the best features of the Filmora Scrn is that it supports recording the screen up to 120 fps (Frames per second) which is much better than the majority of similar software in the market. 120 FPS means that the Videos would be smooth and stable. 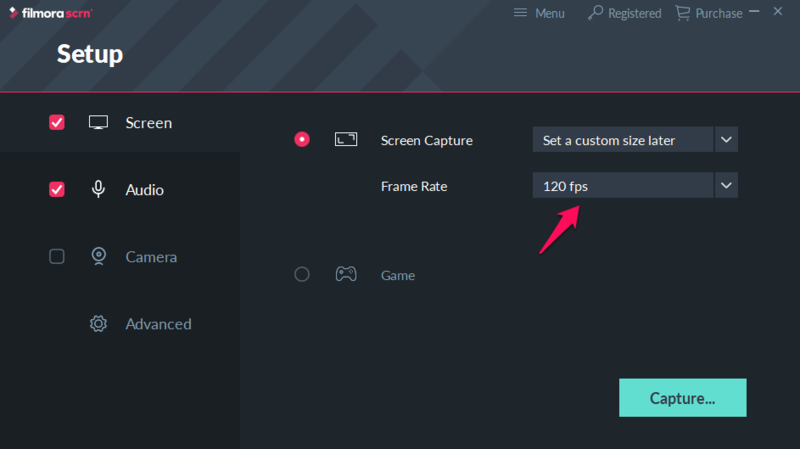 You can also select a lower FPS if you want. With the latest version of the Filmora Scrn, users can record the webcam and the Screen at the same time in one frame. This makes creating Video Tutorials and/or live stream really easier for creators. You need not record each separately and then overlay as the Filmora Scrn lets you record them at the same time. There are a lot of Screen Recorders out there which does not allow the users to record the Audio along with the Screen. But Filmora Scrn, on the other hand, is one of those which allow you to record both audio and video. This feature is a lot useful since you don’t need to record the audio separately and then trim-merge-trim. During recording, you can always press M on the keyboard to mark the point that you are recording for late editing in the situation such as you just made a mistake or a phone rings. When you editing the video clip, you can find the M mark, cut out the clip and record a new voiceover with the voiceover recording feature in Video Editor if necessary. This feature is very convenient. The Filmora Scrn has a built-in Video Editor which allows the users to edit the videos within the app itself. They need not purchase any other Software for the same. The built-in Video Editor of the Filmora Scrn is pretty straightforward. The users can easily get used to the editor within a few tries. 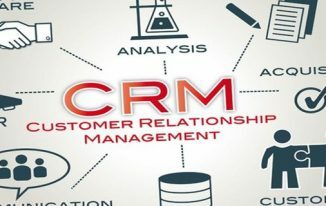 Though there are not a lot of options available, we can surely say that it has almost every necessary and the basic set of tools. 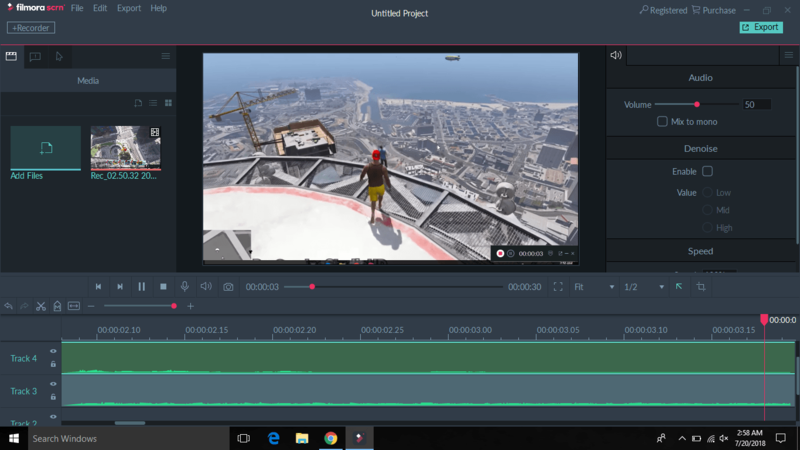 And for those of you wondering, yes you can edit any video using this built-in Video Editor. So don’t worry if you have not used the Filmora Scrn to record the Video. Just click on the Browse button and load the Video files you want to edit. So, guys, those were some of the key features of the Filmora Scrn Program. Now let us take a look at How to use Filmora Scrn to record and Edit Videos, should we? 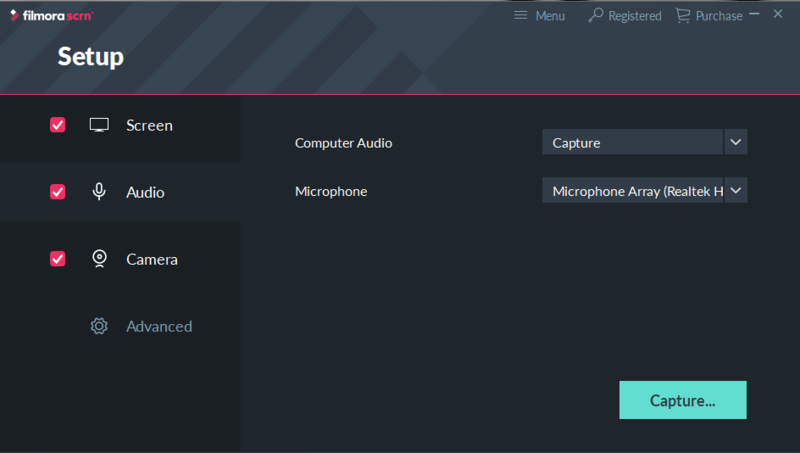 How to use Filmora Scrn to record and Edit Videos? First of all, download and install the latest version of the Filmora Scrn for Windows from the Wondershare Filmora Official Websitef. Once you have installed the Filmora Scrn on your Windows PC, launch it up. How to use Filmora Scrn to Record Screen? Now, click on the Quick Capture option to select the screen recording. You must see a small popup on the bottom right of the screen saying Filmora Scrn. Once you are done with recording the screen, a new Window would pop up on your Desktop. 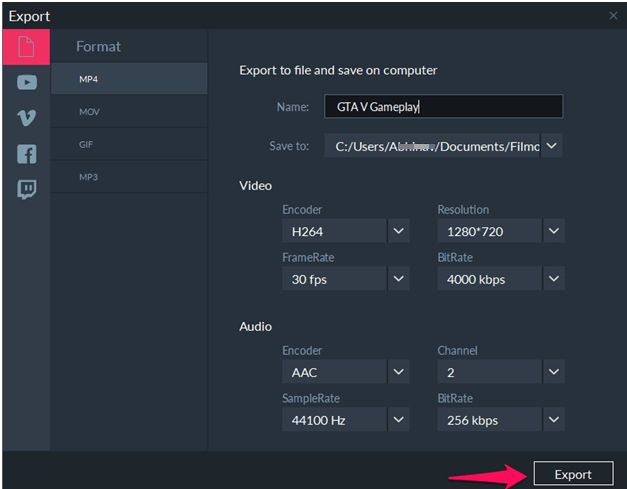 Here, you can either simply export the Video or export it to Video Editor to adjust it and add some enhancements. 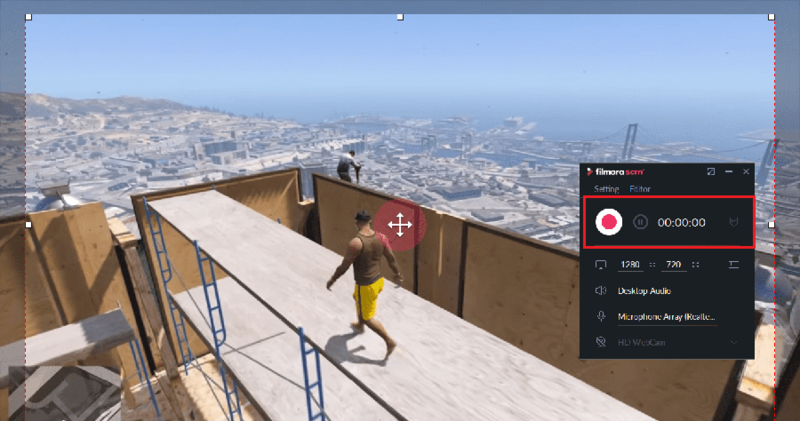 For now, let us click on export it to Video Editor and show you how you can edit your recorded videos. How to use Filmora Scrn to Edit Videos? You will now be taken to the Video Editing Window where you can edit your videos. The user interface of the Video editor is quite straightforward. 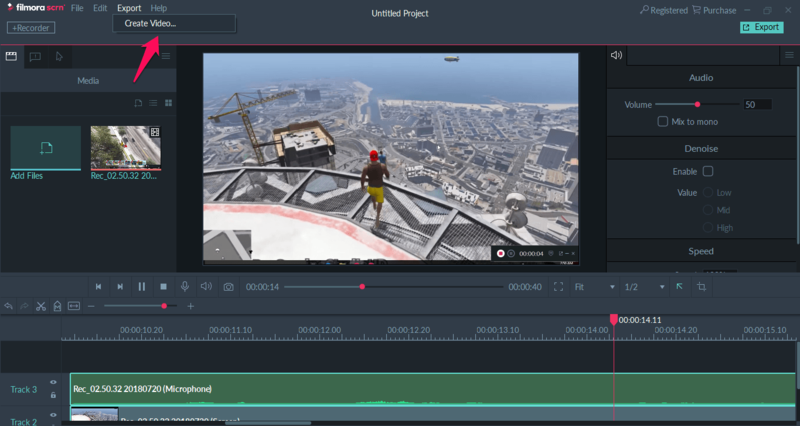 Users can easily trim their recorded videos, add background tracks, add annotations and more. Even a beginner can use the editor easily. Once you are done with the Editing, just select the Export from the top menu or click on Create Video option. Now, a new Export Window will appear. Here you can choose the Resolution, Format, Location, Frames, BitRate and more for the output window. Once you are done with the export settings, just click on the Export button to start the rendering. Besides saving the video file to popular formats, you can also upload it to YouTube, Twitch, Facebook and Vimeo as well. Once the rendering is completed, your Video would be saved in the selected location. That wraps up pretty much everything you really need to know about How to use Filmora Scrn to record and Edit Videos. Now let us take a look at its Pricing. 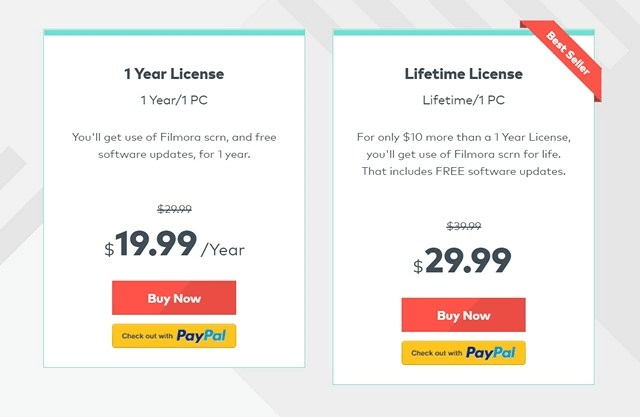 You can purchase the lifetime license for the Filmora Scrn for just $29.99. Alternatively, you can also buy the Filmora Scrn for one year by paying $19.99. The pricing is really good for the features that the Filmora Scrn offers. For those of you wondering, the updates are supported with both the paid plan, so you need not worry about the same. You can get the Filmora Scrn for yourself by going to the Wondershare Filmora Official Website. Now, let us take a look at some at the Pros and Cons for the Filmora Scrn. Can record up to 120 frames per second. Has a built-in Video Editor. Can record Screen and Webcam at the same time. Nothing is perfect, right? Well, now let us take a look at some of the cons of the Filmora Scrn, should we? Lack of Advanced Video Editing Tools. Now, let us get to the conclusion. To conclude, we can say that Yes, the Filmora Scrn is one of the best Screen Recorders available for PC. Though it does lack some of the features in Video Editing, considering the fact that the company created this program primarily for screen recording, we can say that it is good enough. 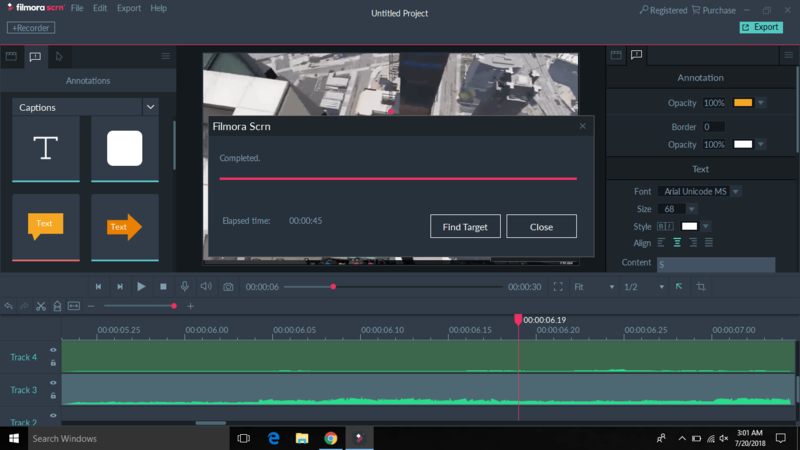 If you are someone who likes to record the gameplay or screen for tutorials, then you should definitely consider trying the Filmora Scrn. Thanks, TTW Team for this wonderful review of Filmora Scrn. 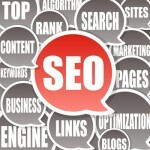 The features look like one of the best screen recorder software programs available online. Thanks for sharing the wonderful features of it, the pros and cons of it. Yes, there are lots of screen recorder software programs available online but choosing the right one is a hard task. I have used some types of screen recorder software. Here, I have heard about Filmora screen recorder software for the first time and I will give it a try. The step by step guide from your side to use Filmora screen recorder software is awesome. The pricing of this software looks good.